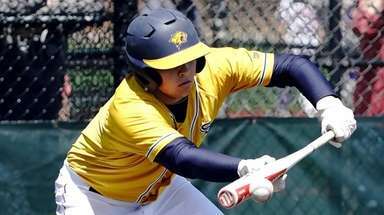 Milano had four goals and Alamia had three goals and four assists for Oceanside, which took a 9-1 lead and held on to win after Jericho cut its deficit to three in second half. This wasn’t quite how the Oceanside girls lacrosse team drew it up — quite the opposite, actually. After winning the first five draws of the game and scoring each time, Oceanside struggled from the draw circle. 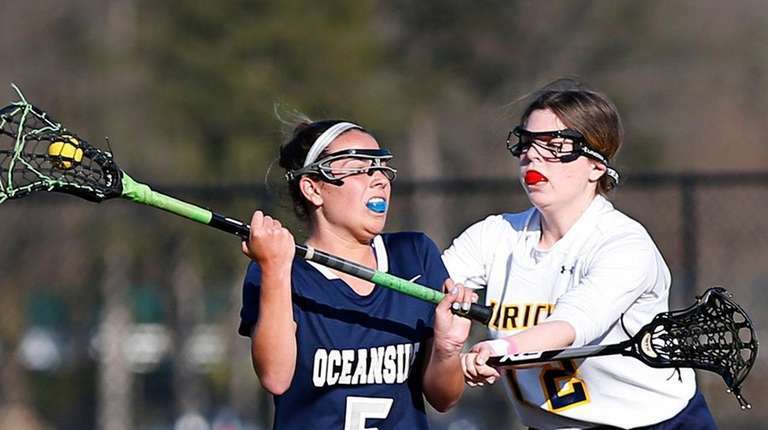 Host Jericho won 15 of the next 20 draws and cut into its first-half deficit, but Lucia Alamia’s three goals and four assists helped Oceanside hang on to win, 14-9, Wednesday in a Nassau Conference II clash in windy conditions. Annelisa Milano had four goals and one assist, including goals that made the score 5-0 and 13-8, the latter of which came with 5:11 remaining. Alamia scored three of the first four goals — she assisted the other by Lily Johnson — then Milano capped the early 5-0 run. Oceanside (4-0) closed the quarter on a 4-0 run, taking a 9-1 advantage into halftime. Jericho (1-3) put the pressure on Oceanside, as Kristina Kallansrude — Jericho’s all-time leader in goals and assists — scored four times in the first 11 minutes of the second half, cutting the Sailors’ lead to 11-5. Milano assisted Jamie Mecca for a 12-5 lead, but Jericho cut it to 12-8 when Daria Drew scored twice and Caitlin Chestler added a goal. Scuffling to solve Kallansrude (six draw controls) in the circle, Oceanside managed to stay afloat by attacking 50-50 balls and creating more possessions. The Sailors had 22 ground balls, led by four apiece from Shannon DiDominica and Bella Klemm. 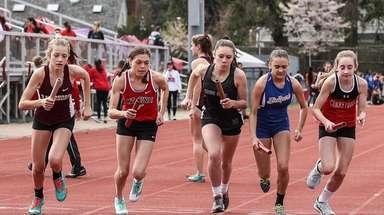 Sarah McCabe and Megan Rugolo each had three. 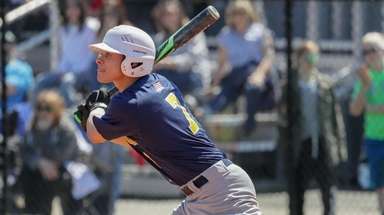 This created opportunities for a versatile offense with several scoring threats. Even with talented junior Julia Schwasnick sidelined with an injury, Oceanside looked fluid on the attack. DiDominica and Mecca each scored twice. Although it’s back to the drawing board in the circle, the offense was illustrated as planned. 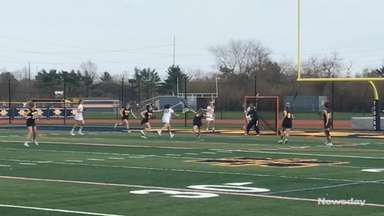 Oceanside vs. Jericho girls lacrosseOceanside defeated Jericho, 14-9, in a Nassau girls lacrosse matchup on Wednesday, April 3, 2019.